El Otro Lado: The Other Side - Albuquerque is presented by 516 ARTS, The Academy for the Love of Learning, Connecting Community Voices, and partnering organizations El Centro de Igualdad y Derechos, Southwest Creations Collaborative and Enlace Comunitario. This project is supported in part by the McCune Foundation, the City of Albuquerque Public Art & Urban Enhancement Program, New Mexico Humanities Council, Albert I. Pierce Foundation and New Mexico Council on Photography. El Otro Lado: The Other Side - Santa Fe was supported by the Santa Fe Art Institute and the City of Santa Fe Public Art Loan Program. 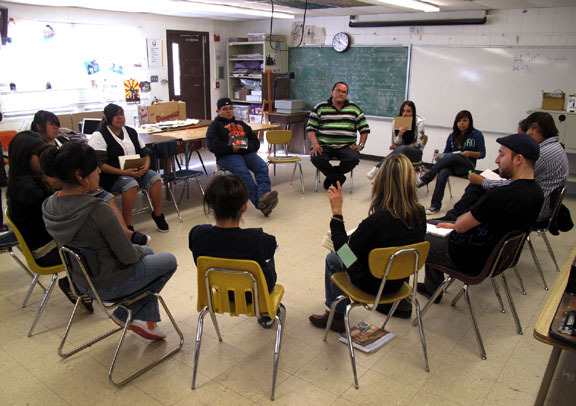 Education programs at 516 ARTS are made possible in part by New Mexico Arts, a division of the Office of Cultural Affairs with the National Endowment for the Arts, and the American Recovery & Reinvestment Act (ARRA) of 2009. El Otro Lado: The Other Side is a project of The Academy for the Love of Learning and is currently in progress. Please check back for updates.